The Wrench – September 2018 : Squad – Communicate. Coordinate. Conquer. Welcome to September where the graphical fidelity gets spooky awesome and suddenly colors get introduced to the trees and whatnot. While a lot of us are patiently waiting for A12, another lot is still happily modding! So let’s check out what sort of treats the Modding Community has cooked up this month! Mike is working on a training area (in lush green fields, compared to good ol’ sandy Jensen’s Range). 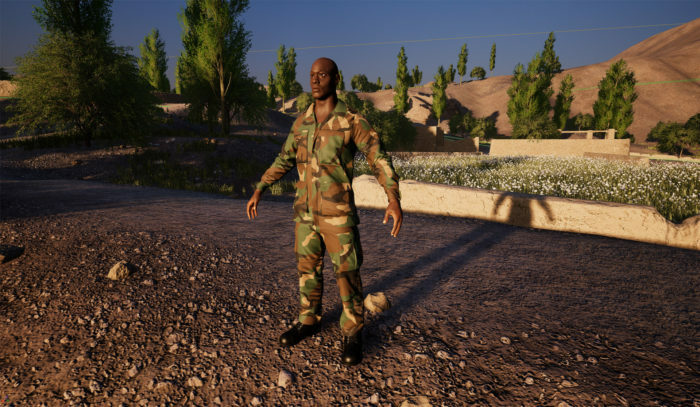 It is going to be helicopter friendly and features some areas like a driving course, a fastrope area, and, of course, a great set of target practice with open ranges and a CQB area. Last time we checked in with Alac he was working on his tank range in the beautiful Swiss mountains. For this map, featured in the last Wrench, he developed some Swiss-style training targets (While guaranteed to be filled with hole, not cheese-flavoured, alas.) The targets are linked to a control computer for in-game tuning and configuration. He plans to release the pack for other modders! How awesome! Troopers is a PVE wave defense game mode inspired by Starship Troopers. The mod is currently in testing and plans to release alongside Alpha 12. Join up on their Discord and do your part! The community favourite helicopter mod is getting bigger! With the Apache added the arsenal now includes the american attack helicopter which is a force in the skies and will make infantry on the ground crazy. There is also a server where you can play the mod 24/7, it’s called “[PEPE] Helimod Official”. Be sure to check out the latest update! Heedicalking is also looking for people that can do modeling and texturing work so the mod can expand even further, so if you have these talents in your personal arsenal make sure to hit him up. 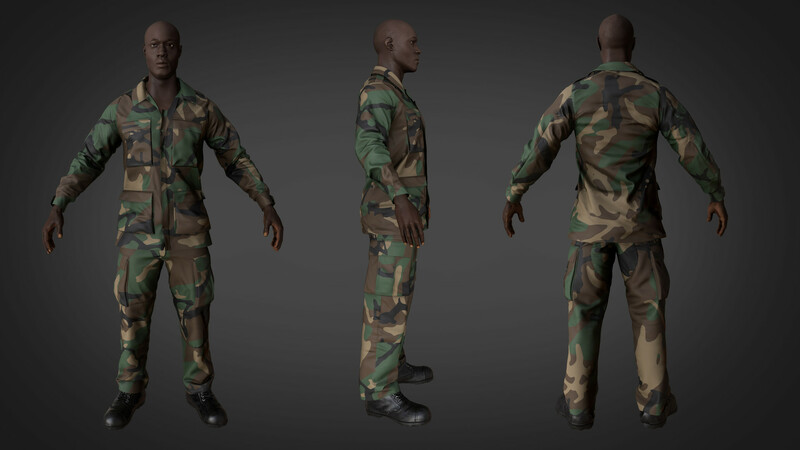 For a while now, Stom has been working on his African rebel faction character model and it’s great to see some beautiful progress here! The plans for the final faction is a poorly trained, but well-equipped fictional faction. 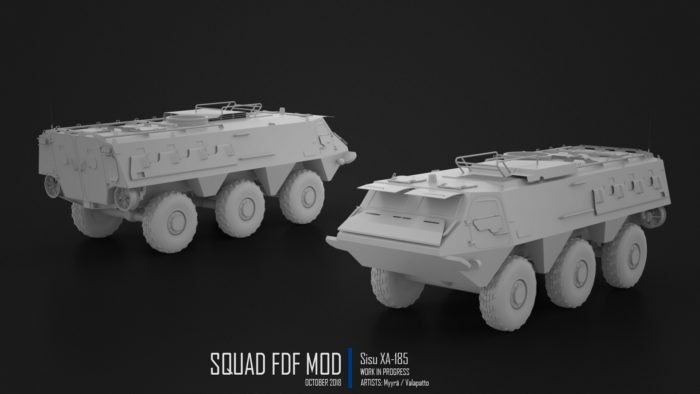 While we’re eagerly awaiting tanks in Squad, FDFMod is already preparing themselves for the future and are starting to get ready for vehicle warfare. Their interesting mix of Eastern and Western equipment offers a unique flavor to the faction. 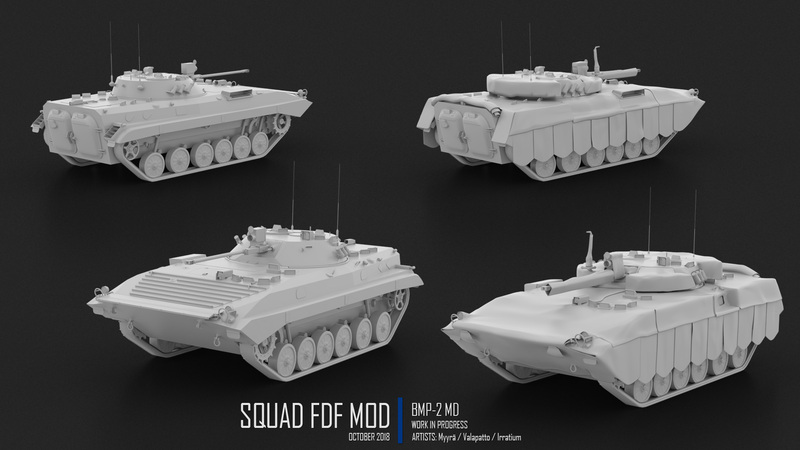 A BMP2-MD with the integrated thermal camo is almost ready for texturing and initial blueprinting has been started. 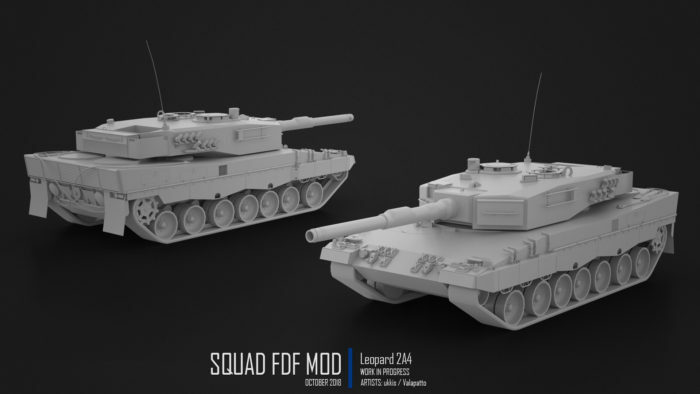 Both the Leo 2A4 and Sisu XA-185 are still in the early stages of the pipeline with low-poly models progressing quickly. Not only the Finns are hard at work, but also Tactical Collective Modding in bringing us the French Foreign Legion as another faction. They have implemented the MO 120mm Mortar, which is now fully functioning along with some more surprises. 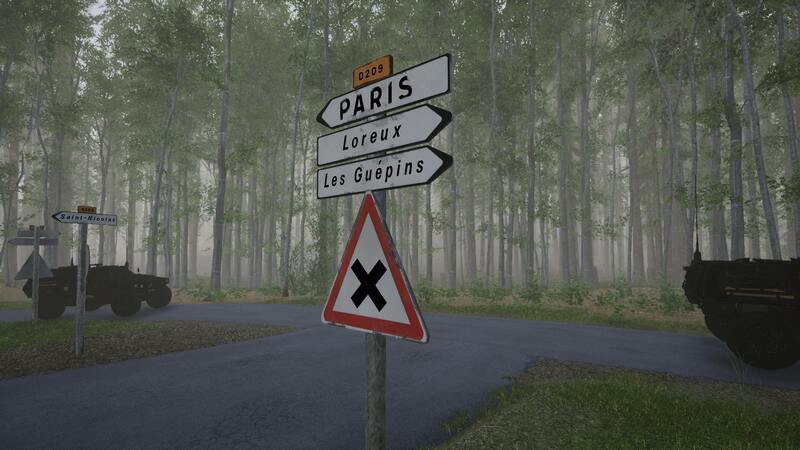 And resident mapper XanderDal has started working on a map located in northern France. Looking forward to future updates. That’s it for September, everyone! We hope you all are having a great time modding (or reading The Wrench) and we hope we’ll see you next month again. If you want to submit something for the next edition of the Wrench you can use this form.